Nu reprezinta un cost suplimentar pentru Dumneavoastra. Nu vi se diminueaza veniturile. Pasul 2.Depuneti personal sau trimiteti prin scrisoare recomandata Formularul 230 Administratiei fiscale. IMPORTANT! Termenul limita este 15 mai 2008 ! Va multumim pentru contributia dumneavoastra financiara in buna desfasurare a tuturor actiunilor intreprinse de Asociatia noastra. Development of individual aptitudes and managerial qualities, by application in the field of alternative sciences and cross-disciplines providing more knowledge in management of risk, corporate governance, content management system, edition of international articles and reviews. Develop agreements with other bodies and universities of the world with similar preoccupations and interests. Principle of complication (the transfer from complex states of systems to much more complex). Complication means rejecting the simplest states of socio-economic and socio-ecological systems, because the state of system presents the end of very long evolutionary chain and simplification is only clean place for the next complications. Principle of superposition. This principle rejects the economic rationality of maximization of unique universal economic utility function, replacing it by socio-ecological rationality of simultaneous existence of many utility functions realized in risk avergion and parsimonious behavior. Principle of duality, referring to the transfer from the deepness of one approach to the deepness of other approach, presenting the multiple interpretation of behavior of state of complex system from the viewpoint of different objectives. Principle of innovation diffusion and self-organization, presenting the difference between invention and innovation spread and appearance of new patterns of developments of inner hierarchy of structures of states of system. At present, we see the further developments of models of collective and individual choice with the help of three models formulated as choice behavior of "Homo Politicus", "Homo Economicus" and "Homo Socialis". These models presented the components of emotional intelligence and passionarity leading to the new development of ethno genesis and theories of modern terrorism and clash of civilizations. On similar education, concern itself with the broader relations of complex systems to society, foster the interaction between complex systems scientists of different countries, establish a sense of identity amongst European alternative sciences researchers, educators and business owners, and represent the European alternative sciences and complexity community at national and international level, promote females and young researchers as international scientists, create a museum of education and research in Romania, editing the Alternative Sciences Journal. A.S.A. will identify itself by the sign of a brilliant and 10 stars around it, by the join colors of yellow/orange and blue/green and by the logo “Learn and act BIG”. 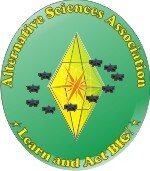 The Alternative Sciences Association, informally A.S.A. or Society, is an association established in accordance with the laws in Romania. To achieve its aims the Society may prepare proposals and motions, make statements, organize courses and seminars, workshops and seasonal academies as summer/winter schools, conferences, develop a network of business clubs Future managers among students, arrange negotiations and meetings, operate as a publisher, award grants and represent its membership, and more generally take all pertinent initiatives of a legal nature to promote the science of complex systems and its applications. set up subordinate bodies for special tasks. Members are individuals applying for to joining the Society and accepted. The procedures of acceptance are in the By-laws. The Council may enter into reciprocity agreements with other organizations to provide joint benefits to their members. The expulsion of a member shall be by a decision of the Council. The By-laws is retaining the procedure of expulsion of members. Members pay registration and membership dues as determined by the Council. The dues may be different for different categories of members, according to the by-laws. Members falling behind in payment of fees shall forfeit their right to vote and to stand for election to the Council until such fees are paid. Members who do not pay their fees may have their membership withdrawn according to the By-laws. When authorized by the Statutes, members take decisions by mail or web-based ballot. The By-laws is retaining the procedure. The organ of the Society with decision-making powers is the Council. The number of members of the Council shall be determined by the By-laws. The executive organ is the Executive Committee of the Society. The number of members of the Executive Committee shall be determined by the By-laws. The President will be chair of the Council and of the Executive Committee. If the President is unable to chair a meeting of the Council or the Executive Committee, either Vice-President may chair it. Council elections are held every year according to the Statutes and By-laws. Council members shall be elected for a period of three years. A council member may be re-elected according to the By-laws. The Council shall meet at least once every year. The quorum of the Council shall be 50%, subject to the By-laws. Each council member shall have one vote. Decisions will be by simple majority of votes cast, except where larger majorities are required by the Statutes or By-laws. An extraordinary meeting of the Council may be convened, by request of the Executive Committee or whoever, in writing by not less than 10% of the council members. The Executive Committee shall convene the Council by a letter to each Council member by two months before the meeting date. The letter will contain a provisional agenda. Council members may add items to the agenda within the next month.10percentage of members of the Council may add agenda items at any time up to the meeting. The Council is the supreme authority of the organization. Deal with any other matters prepared by the Executive Committee. Several other Committee members, determined by the By-laws. Members of the Executive Committee shall be elected by the Council members for a period of 3 years. Committee members may be re-elected if consecutive service shall not exceed 6 years. The President shall not serve as President for more than one period. The Executive Committee is convened by the President or, in his absence, by a Vice-president. A meeting of the Executive Committee must include the President or a Vice-President. Implement the resolutions adopted by the Council meeting. The Executive Committee shall manage the budget of the Society. The Treasurer shall prepare the annual accounts of the Society for the approval of the auditors and the Council. The Executive Committee shall appoint and dismiss the staff of the Society, define their duties and confirm their remuneration. Any other resources, which may derive from its own activities. The fiscal year shall begin on 1 July each year. The accounts shall be submitted to the auditors by the end of August. The auditors' report shall be submitted to the Executive Committee by the end of September. The Council shall appoint, for each financial year, one of its own members and an independent certified public accountant to audit the accounts of the Society. The auditors will present a report to the Council and this report will be published by the Society to its members. The auditors may at all times require that the books and all relevant documents be presented to them, and they may examine the cash and financial situation. The auditors may be re-appointed.